You may be surprised to learn that even in our “clean” and modern world, mercury overload is much more common than you would think, and it is very often a root cause of chronic illnesses, including Hashimoto’s, Graves’, and autoimmune disease. I have uncovered mercury overload as a cause in countless of my patients’ symptoms, especially the more complex cases. And I eventually discovered that mercury overload was one of the root causes of my own autoimmune thyroid condition, due to eating a lot of tuna fish growing up, the numerous vaccines I received as a Peace Corps Volunteer, traveling through China (high coal burning area) for six weeks in college, and then living in Texas (high concentration of coal burning plants). 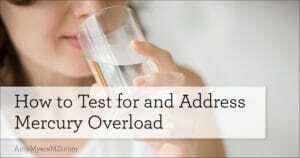 There are two reasons mercury overload too often goes undiagnosed and untreated. The first is that conventional medicine only recognizes mercury poisoning, which is far more rare, and the second is that most people are unaware that we are continuously exposed to low levels of mercury in our everyday lives, which can actually be more harmful. In this article, we’ll look at how you’re being exposed to mercury, what mercury overload is, and how mercury overload can lead to chronic illness. Then in part two I’ll cover how test for mercury overload, how to reduce your exposure, and steps to and safely detoxify. This type of mercury is typically formed when mercury combines with other elements, such as when amalgam fillings begin to break down. In the US, this type of mercury has been banned in cosmetic products. These mercury compounds are formed when mercury combines with carbon, is the kind typically found in seafood, as well as vaccines. This type of mercury can actually pass through the placenta to the fetus in pregnant women. Unfortunately, thanks to our modern world, you are exposed to mercury from many sources on a daily basis without knowing it. Although you cannot see or smell it, mercury is all around us. Coal burning plants release a tremendous amount of gaseous heavy metals into the atmosphere. The Sierra Club created an interactive map that allows you to see if there are any coal-burning power plants in your area. The widespread use of commercial fertilizers has released substantial amounts of heavy metals into our aquifers and waterways, including mercury. Unfortunately, EPA regulations are far too lax in terms of the allowable amount, so it’s up to you to ensure your water is suitable for drinking and showering. Since amalgam fillings contain mercury, they’re a constant source of residual mercury exposure. Over time, these fillings corrode slightly, releasing mercury into your saliva and airways, where it begins to build up in your body. Some fish are high in mercury, including tuna and shark. These organic compounds are risky for anyone to consume, but pose a particular threat to pregnant women, since this type of mercury can actually be passed through the placenta to the developing fetus. Some vaccines, including the flu vaccine include thimerosal, which is an organomercury compound.3 Thimerosal is added to vaccines to prevent bacteria and fungi from growing within them. As I said, actual mercury poisoning from one large exposure all at once is very rare and I do not often see it in my clinic. It can result in kidney and lung failure, and even death, if not treated right away. Symptoms can vary widely, and can include, vision and speech impairment, loss of muscle control, weakness, tremors, and decreased cognitive function. Mercury buildup over time from continuous, low-level exposure is referred to as mercury overload. The problem is that your body doesn’t immediately process and eliminate mercury, it’s a process that can take anywhere from one to four months. 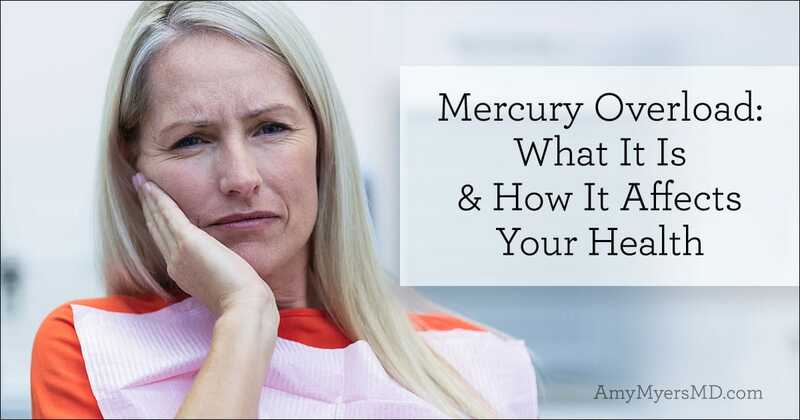 If you are you continuously exposed to mercury in small amounts, your body is never able to truly rid itself of this heavy metal, and the buildup continues to accumulate. Heavy metals such as mercury essentially create a constant state of inflammation, creating problems with your nervous system in particular. This can lead to a wide variety of health problems that are difficult to trace back to one single cause, and leaves many doctors scratching their heads. 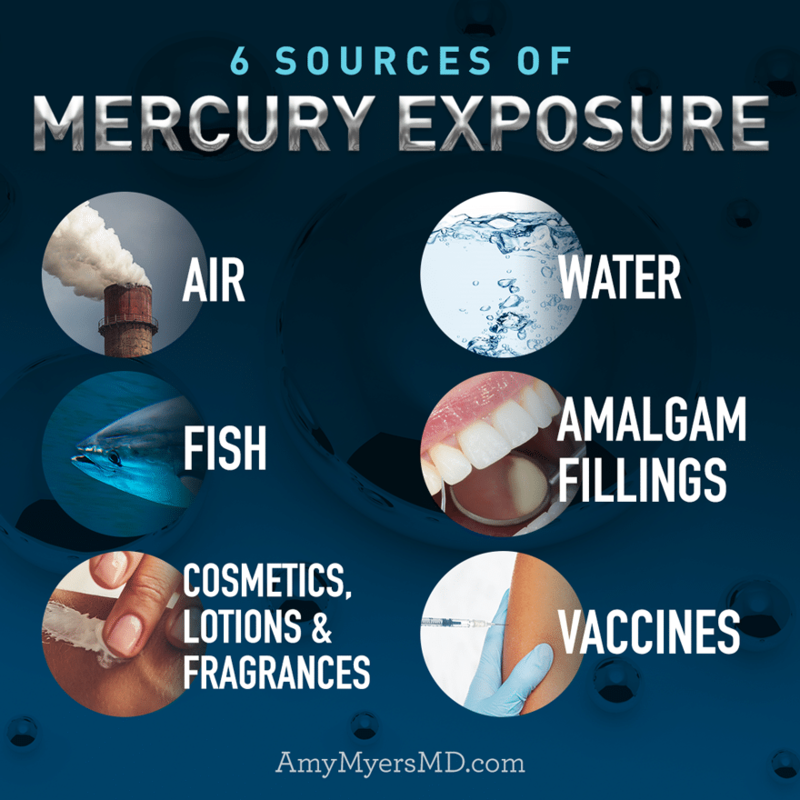 A constant, low-level exposure of mercury has been linked to autoimmune diseases such as Hashimoto’s, Graves’, lupus, rheumatoid arthritis, Sjogren’s, and more. Although the connections between the two are still being studied, there are three theories as to why mercury buildup causes autoimmune dysfunction. 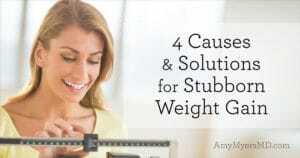 The first is that mercury alters or damages the cells in various tissues in your body. 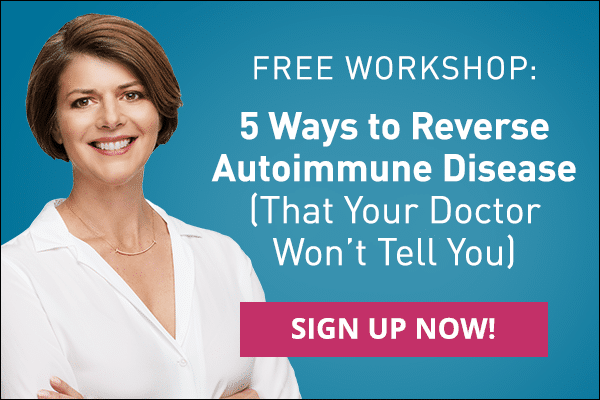 Your immune system then fails to recognize the altered tissues and attacks them as foreign invaders, whether they’re in your thyroid, skin, brain, intestines, or anywhere else. Another theory is that heavy metals stimulate the immune system so that it goes on high alert. Over time, your overly stressed immune system becomes unable to tell the difference between you and foreign invaders, and eventually begins misfiring, attacking your own cells. The third theory is a little more complex and concerns the way your immune cells are “educated”. Your T cells are white blood cells responsible for a variety of immune responses. They begin life in your bone marrow and then move to the thymus, a small organ right behind your breastbone. In the thymus your T cells are taught to recognize foreign invaders (viruses, toxins, pathogens, and other dangers) and to distinguish them from the good bacteria and healthy foods you want to welcome into your body. Some T cells are further educated to become “regulatory T cells” and they have the important job of keeping your other T cells in line, making sure they do not mistake your own body as a foreign invader. However, toxins, including mercury and other heavy metals, can shrink or atrophy your thymus, keeping it from producing enough high-quality regulatory T cells. This makes it easier for your other T cells to get out of line and start attacking your body’s own tissues. Mercury toxicity increases your risk of autoimmune disease of the thyroid, Hashimoto’s and Graves’, in particular because it looks so similar to iodine, which your thyroid uses to produce its hormones. Your thyroid is remarkable good at absorbing any available iodine in your body. However, if it is tricked into absorbing mercury because of their structural similarities, it can lead to an autoimmune response explained by the first two theories listed above. In fact, in a 2011 study, women with excessive mercury exposure were more than twice as likely to have high thyroid antibodies. This can manifest as Hashimoto’s, where your thyroid underproduces its hormones, slowing down all of your metabolic processes and causes fatigue, brain weight gain, hair loss, and more. Or it can lead to Graves’ disease, where your thyroid overproduces its hormones and speeds up all of your metabolic processes, causing rapid heart rate, weight loss, tremors, anxiety, and more. Mercury toxicity can also lead to non-autoimmune hypothyroidism because when your thyroid stores mercury in place of iodine, it doesn’t have enough iodine to produce its hormones. 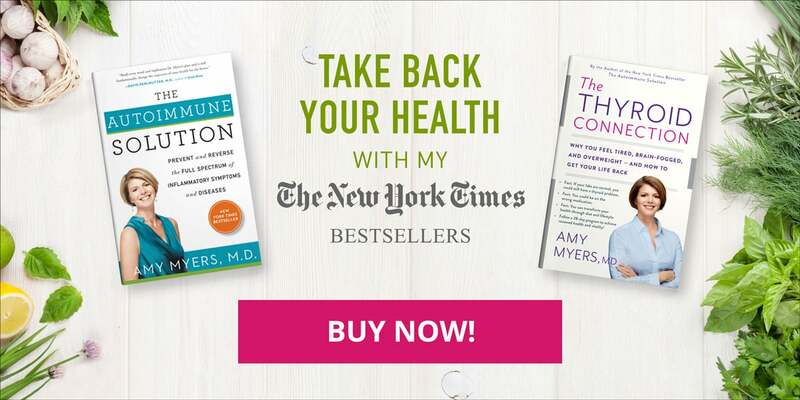 This is why I recommend taking a high-quality multivitamin that includes iodine, such as The Myers Way® Multivitamin, which I specially designed for the millions of us with Hashimoto’s, Graves’, and thyroid dysfunction. While there is not a lot of research on the link between mercury overload and Candida overgrowth, I’ve seen the two occur together and exacerbate each other in many of my patients. One potential reason for this is that Candida can be helpful for binding mercury and other heavy metals so that they cannot enter your bloodstream.4 While in one sense this helps protect your body from the effects of mercury, it can also allow Candida to overgrow. There is some debate about whether to treat mercury overload or Candida overgrowth first when the two occur together. I find that it is extremely important to work towards restoring your gut health before detoxifying from mercury. If you chelate heavy metals with a leaky gut, you could potentially reabsorb these toxins, which could actually be more harmful as your body becomes flooded with toxins! That’s why I first start my patients on my Candida Breakthrough® protocol, and then move to helping clear the body of mercury. If you carry one or more MTHFR gene mutations, you’re at a heightened risk for mercury overload because your body can have a greatly diminished capacity for detoxification. With your ability to filter out toxins such as mercury reduced by 30-90%, you could be at a greater risk for mercury toxicity, as well as developing autoimmunity, Hashimoto’s, Graves’, or thyroid dysfunction. I myself have two MTHFR mutations, which is why I was more susceptible to the effects of mercury exposure. This is also why I take a Methylation Support supplement daily, in order to optimize my methylation processes and minimize the effects of mercury and other heavy metals. In the second part of this article, I’ll explain the different testing options for mercury overload (including the preferred method I use in my clinic), as well as how to safely address mercury overload by reducing your exposure and flushing mercury from your body using Coconut Charcoal and Glutathione. If you haven’t already, be sure to sign up for my free newsletter so you don’t miss it!